What a question to start this conversation off with, but hang here with me for a while. Our old friend Webster tells us Leadership is a noun, a position as a leader of a group, organization, etc. Sorry Webster, but that is boring. What is Exciting is that YOU, my friend, are a LEADER! To borrow from the Kansas Leadership Center there are five key elements of the Leadership Principal and YOU possess them. Leadership is an activity, not a position: Ever watch kids on a playground, it does not take long to see who the leader is. Anyone can lead, anytime, anywhere: Have you ever had that situation where someone needed to step up and get things moving; and it ended up being you. It starts with you and must engage others: Others? Yes, your family, friends, co-workers. Yes, there are others in your life, even a stranger on the street can be considered “another”. Your purpose must be clear: Yes, Purposes are all around us. Our passions, visions, dreams. What is yours? It’s risky: So what if you make a mistake? So what if not everyone agrees with you? It is ok my friend, life is risky. I challenge you to take the risk and don’t think of Leadership as a position, role, or title. Am I passionate about the Emporia Area Chamber of Commerce Leadership Emporia program, because it is part of my job? NO! I am passionate about Emporia, my home town. Even when I did not live here I would drive 5 hours across Kansas just to come home to Emporia to get my hair cut, see the doctor, do my banking and shop for clothes, because I love this town. Six generations of my family have been blessed to call Emporia home. I want to see this community thrive and flourish. That is way I am passionate about the Leadership Emporia program. No matter how long you have called Emporia home, I challenge you to look for ways you can be a leader right where you are. Look for volunteer opportunities in your church, local charities/non-profits, civic & service organizations. Consider applying to be a part of the next Leadership Emporia program to challenge how you view leadership. Everyone is a leader, even if you are a quite introvert like myself. Thanks for hanging in here with me for a while. 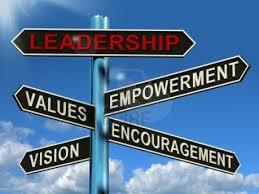 Now take some action and visit www.emporiakschamber.org and complete you Leadership Emporia application. The deadline is August 14.